Access All Areas members have a brilliant new font to download today, courtesy of Ricky Rinaldi from Aiyari Studio. 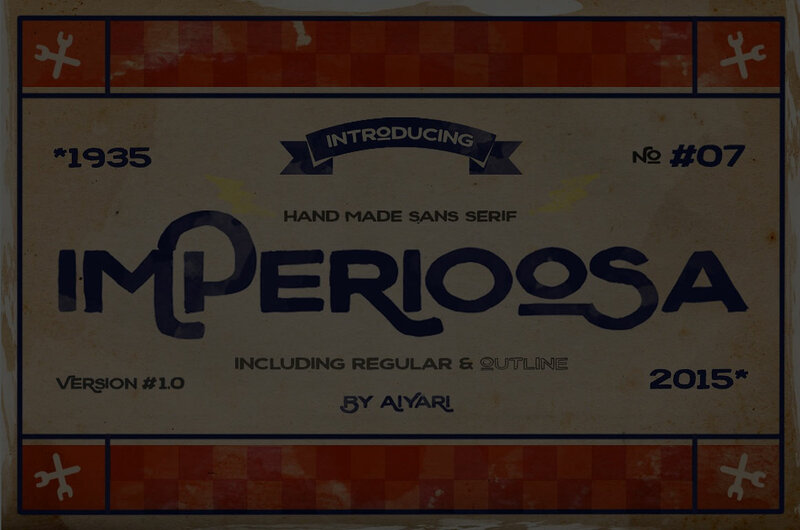 Imperioosa is a hand-made all-caps sans-serif that comes in regular and outline styles. It’s inspired by vintage motorcycle culture and can be used to create great quote art, logos, clothing labels, event posters, album covers and more. 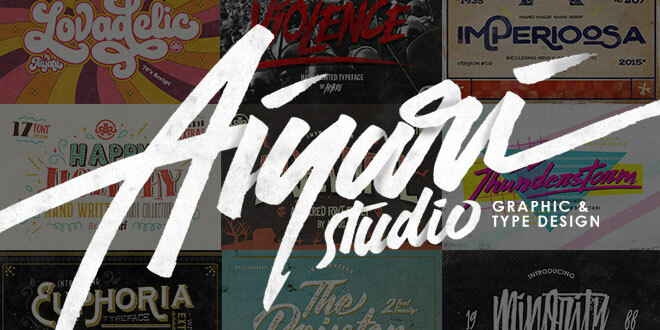 Aiyari Studio is an independent digital type foundry by Ricky Rinaldi, based in Bandung, Indonesia. You’ll find a variety of typefaces available in the Aiyari Creative Market store, covering a wide range of styles to suit all kinds of projects. Fonts come with a selection of weights and styles and are packed with additional extras, or feature incredible discounts. Whilst Imperioosa is an all-caps font, both the regular and outline styles features alternative glyphs for each lowercase and uppercase character, providing you with decorating swashes to customise your type. Also included are 0-9 numerals and a large selection of punctuation symbols. Available in TTF and OTF formats. Isn’t this nice! Thank you! Thanks to Ricky, too! I like the style of this font!